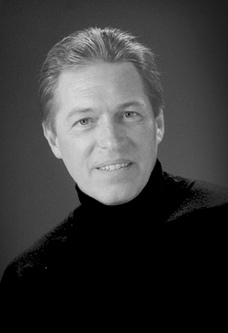 Steve Amerson has established a reputation as a superior tenor with a vocal flexibility that allows him to feel at home in both popular/contemporary music and classical literature. With the wealth and depth of his performance experience, he is known as America’s Tenor. Steve has been a featured soloist with orchestras throughout the United States and abroad including performances with Los Angeles Philharmonic under the direction of Michael Tilson Thomas and the Los Angeles Master Chorale with performances at the Dorothy Chandler Pavilion and the Hollywood Bowl. In 2006, he made his Carnegie Hall debut. Presently, much of Steve’s time is dedicated in presenting concerts based on his Front Row Center project, which is a collection of inspiring songs from the Broadway stage and screen, as well as Amazed by America patriotic presentations. Steve is also thrilled to be a musical ambassador for the Congressional Medal of Honor Foundation and Society as he sings for their events throughout the United States. Along with his concert schedule, which includes 50-60 Christmas, Broadway, patriotic and sacred concerts each year, Steve does studio singing for various recording projects, movies, commercials and television shows. His voice can be heard on over 150 feature films.